Wladimir Klitschko defended his WBA, IBF, WBO and IBO titles with a fifth round stoppage of mandatory challenger, Alex Leapai, in Oberhausen, Germany on Saturday night. The powerful Ukrainian looked in superb condition as he towered above the Samoan born Australian in what was a complete mismatch and quite possibly his most dominant title defence of his 16 so far. The champion has made it clear he intends to stick around for another four more years until he has broken Joe Louis record of 14 years at the helm of the heavyweight division and based on this performance, there is little evidence to suggest that his powers are waning. Klitschko had his opponent on the canvass in the very first round when he caught Leapai with a flush left. Leapai got himself up in true Samoan warrior style only to be caught time a time again by the left jab and powerful right hand from the Ukrainian. The punishment kept on coming through the rounds and one wonders how Leapai remained on his feet. In fact the champion was so dominant he recorded 147 of the 157 punches thrown of which a very high percentage landed on the challengers head. Leapai was living on the hope he would be able to get inside the champions superior reach and land the one killer blow however the tactical Klitschko simply jabbed him away every time he attempted to get near. The fifth round is when the Ukrainian decided to finish off the Australian challenge when he put him down twice with a series of pretty brutal combinations that landed one after the next. Had he managed to stay on his feet the referee would have been forced to step in and stop the bout such was the ferocity of the punishment being dished out. 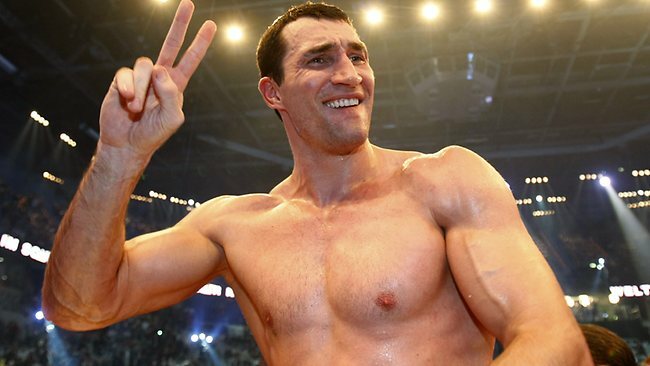 The win sees Klitschko remain unbeaten since 2004 when he lost to Lamont Brewster, a stretch of 20 fights. It was also the 52nd KO of his career in 62 fights, with only 3 losses.